These 8.5x11 magnetic photo pockets can be personalized for fundraisers, business promotion or any other occasion. Note: Minimum qty for customized is 500. Availability: Usually ships in 21-28 business days, re-orders ship in 14-21 business days. Add To Cart to view ship rates and delivery dates. 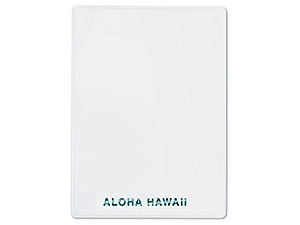 Now you can add a custom heat stamped logo or text message to our clear flexible magnetic photo holders. These 8 mil thick personalized photo pockets are great for promotional giveaways, fundraisers, and business promotion or any other special occasion like a wedding, reunion, Bar Mitzvah, or anniversary. Magnetic photo pockets can be stamped for horizontal (top load) or vertical (side load) presentation of 8-1/2" x 11" photos. Photo Size: 8-1/2" x 11"